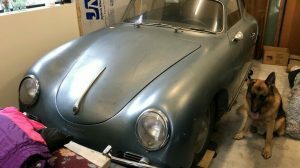 1954 Allied--So What Is It? 1954 Allied–So What Is It? Being car folks, I’m betting you will know what a Cisitalia is–a rather rare (~170 made) Italian sports car that was considered so beautiful when produced it was one of the first, if not the first automobile exhibited at the Museum of Modern Art (one of the more obscure pieces of automotive trivia rolling around in my head…sad, I know). Anyway, the shape was considered pretty enough that several efforts were made to produce copies of the body for early kit car and specialty car use. This is one of those bodies, called an Atlas or Allied, depending on what year it was built. It’s for sale here on eBay here on eBay (second listing) and was mounted to a Lincoln Capri chassis and drive train way back when. It’s located in Sylmar, California Barnwell, South Carolina and is starting at only $1,000 without a reserve! I think you might have to work on those headlight mounts! 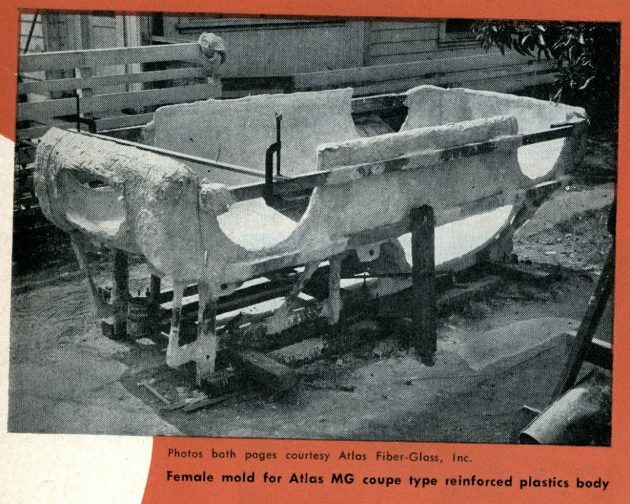 The story of the Allied/Atlas is explained in much detail on Geoff Hacker’s wonderful website Forgotten Fiberglass–apparently they made about 50 bodies over time, and the molds were actually taken from a Cisitalia surreptitiously when it was in the famous George Barris’s shop! There’s a cool period brochure here. Naturally, you’ll have a lot of work on your hands, because it’s hard to tell if the car was ever finished or not. There’s certainly a lot of detail work missing. 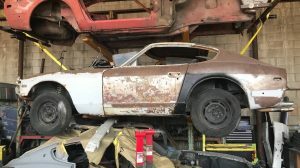 The shop that was originally going to restore the car is now selling it for the owner. I think those are British roadster tail lights. 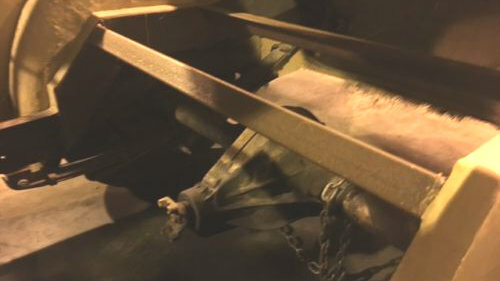 Despite the appearance, the car comes with original front and rear glass and door hardware. I’m glad, because I think sourcing that rear glass would have been tough. Here’s the deal–the Lincoln mechanicals give you a pretty solid base to build on; as the seller notes, they were used to win several long distance races at the time. 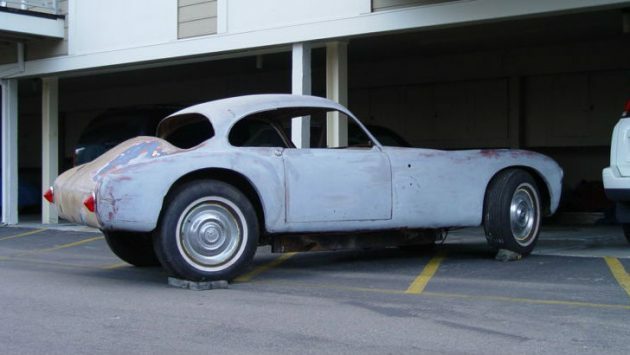 I’m sure the fiberglass will require a lot of finishing work, but I don’t see any huge breaks and a good Corvette or Lotus shop can help with that. Just imagine what it would look like once completed! Furthermore, since this is what your interior looks like to begin with, i.e. nothing apart from the dashboard that the restoration shop has constructed, you are free to pursue whatever you would like in the interior. Personally, I would go for something quite simple, in keeping with the original Cisitalia interior. What would you do? 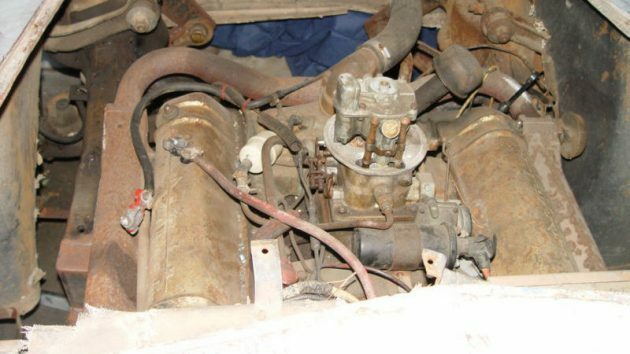 We’re told the engine is in excellent running condition, and it certainly looks complete. Supposedly the Lincoln had ~50k miles on it when it was converted. I think this would make one heck of a project! My question for you today is a little different: pretend it was yours–what color would you paint it, what interior color and what wheels would you use? The rear 3/4 shot is attractive, the front not so much, but may improve with bumpers and chrome. Still, I love it, the Left Coast a little too far for me. I had heard about these years back, would be surprised if they actually made 50 but FF is the authority, they are good people! It’d cost a young fortune just to replace the glass. Otherwise if you are handy and have deep pockets this could be a head turner. As stated, the front and rear glass comes with it. Part of the beauty of the Cisitalia is its tiny proportions. 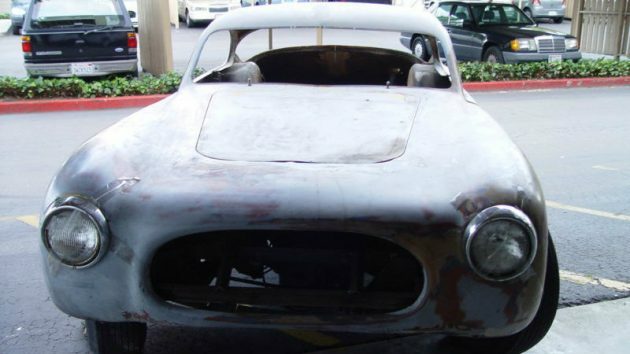 Scaling that up to the size of an early-’50s Lincoln seems unwise, and the claim that the molds were pulled directly from an actual Cisitalia seems a bit, um, stretched. 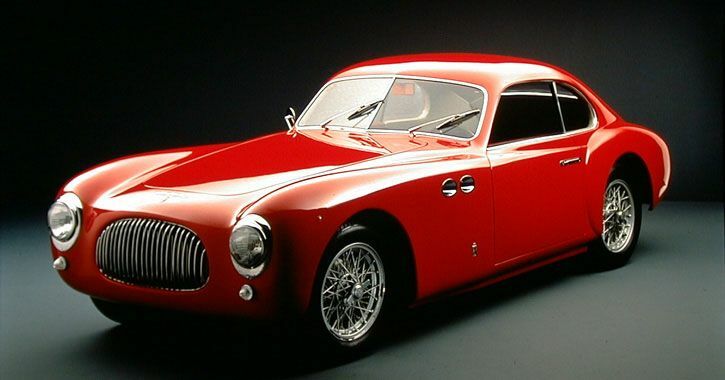 The story of how the molds were in fact pulled from a Cisitalia has been repeated many times with the names of the participants and the particular car involved. So, I’m inclined to believe it. Geoff Hacker will know for sure though. – OOPS I COMMENTED TOO SOON, should have scrolled down and seen that yes, Geoff Hacker has in fact confirmed the story! Sorry ’bout that!! It’s a fun story – and Bill Burke confirmed it to me several years ago. He did the mold in secret while the car was being prepped for the Petersen Motorama. I asked Bill if Robert Petersen approved – that was his boss at the time. He said he wasn’t too pleased but gave him a “pass” and life went on. See attached image of actual car that mold was taken from – this was taken in the showroom/office of Motor Trend for a cover photo. The rear lights are of British origin (Lucas). Used on many cars such as Jags, Morris Minor, etc. However, they have attached them all wrong and the lens is now pointing down at a 45* angle and so is the built in reflector. Also…Bill Burke / Mickey Thompson / Roy Kinch (owners of Allied/Atlas) offered two sizes of the body. This is the larger of the two. 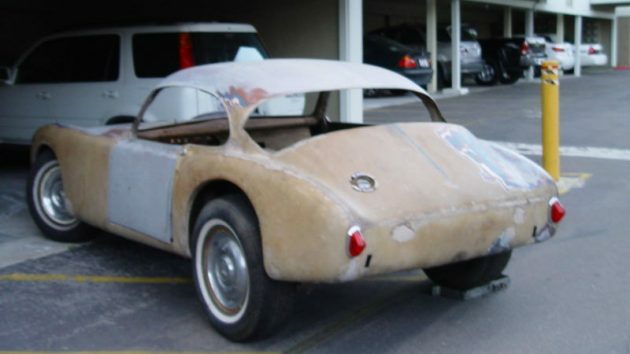 It’s a “scaled up” version of the 94″ or so wheelbase version of the same car taken from Robert Petersen’s car in 1952 with the help of George Barris. Thank you, Geoff, for all you do!!! 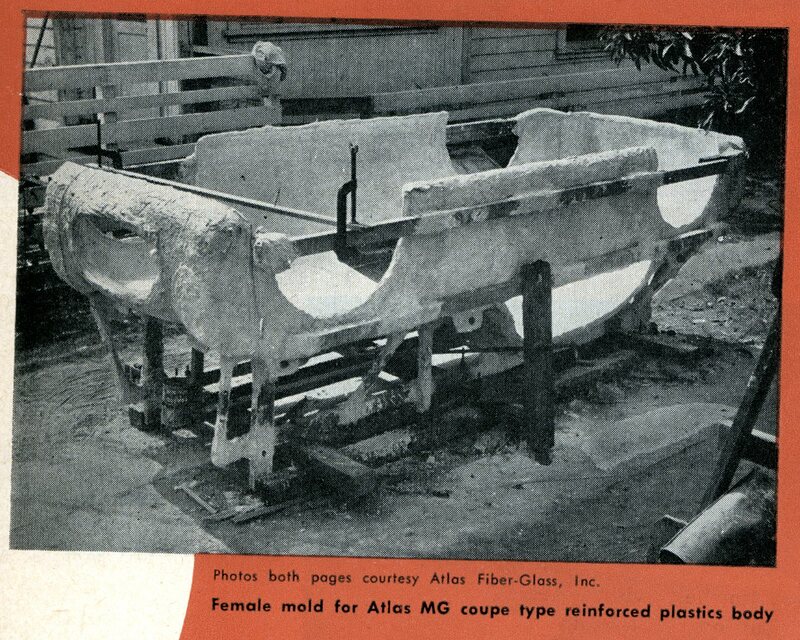 You have a wonderful website—‘Forgotten Fiberglass’. I have visited it many times, including for info on cars that have appeared on Barnfinds. But I think this particular car will have to be a labor of love. Being a copy of another car in ‘glass, with fabricated details and finishes, it will not have big collector value. 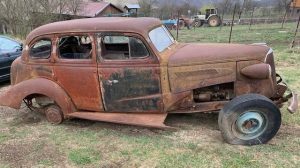 That doesn’t mean someone shouldn’t take this car on…just that they should know that it will require a lot of work and cash, but likely not generate a lot of value. People just don’t pay big bucks for something that’s not significant, original, and perfect, or close, even if it is a copy of a very significant car. A nicely restored one without a Kurtis chassis would probably sell well too, but not close to this figure. All comments welcome. The more folks interested in these cars the more history we save and share. All is good. Does anyone know what was used for side glass? 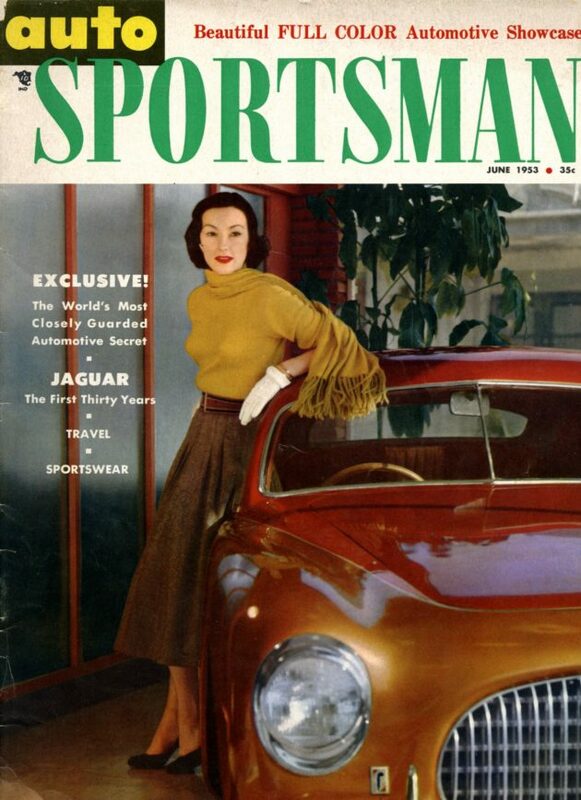 I have a pair of ’59 Jaguar XK 1/4 windows that may fit. Black, white leather interior, and of course Mickey Thompson wheels (vintage – the repops are called Radir but they aren’t exact copies) with wide whitewalls. Originally Raders. Then M/T and then Radir. IMO they are definitely not the right wheel choice but to each their own. I would go with a deep wine. Perhaps HOC berry mix(?) with a buckskin interior. 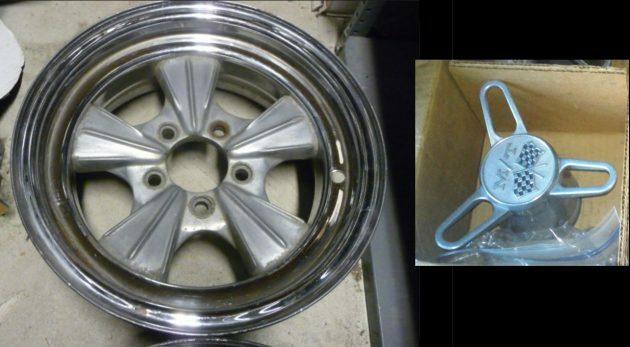 And lastly I would like chrome wires for wheels. Beautiful choice, my thoughts as well! 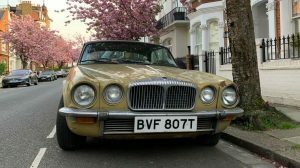 The car you’re describing is featured in the June 2017 issue of British magazine THOROUGHBRED & CLASSIC CARS, except for the wire wheels. The feature car, a real Cisitalia, has some dreadful whitewalls and funky wheelcovers (probably originals). I picked the magazine off a newsstand just a week ago, so should still be available. The original engine was based on a 1.1 litre Fiat block, so I’d imagine the Lincoln V-8 would be more to American tastes. Ok. Someone bid on this so I don’t….please? I think there’s already a bid…. They’re going to have to bid higher than that! I wife and I really want this car! 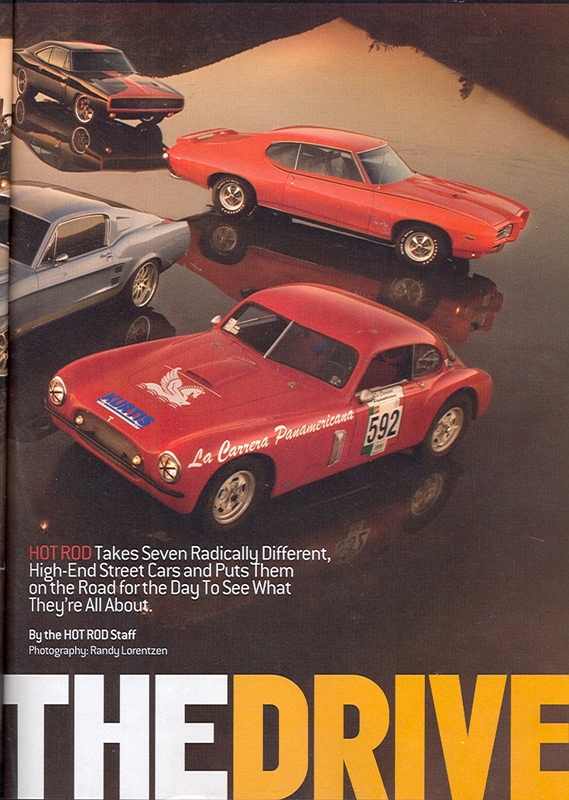 Hot Rod Magazine covered this car/marque in a 2008 article – see attached. I would take this over the fugly, goofy winged Corvette! There is an beautiful & perfect example of one of these at the Peterson Auto Museum in LA. It keeps your attention for a good while. Here’s a finished version on youtube. Ok, the original auction was canceled, but I just talked with the owner by phone–seems like a nice guy. The car is actually located in South Carolina and will be relisted on eBay if it’s not already. I’ll let you folks know. And yes, now I’m even more interested as I’m in North Carolina. It’s up again now. eBay item 222547326592.